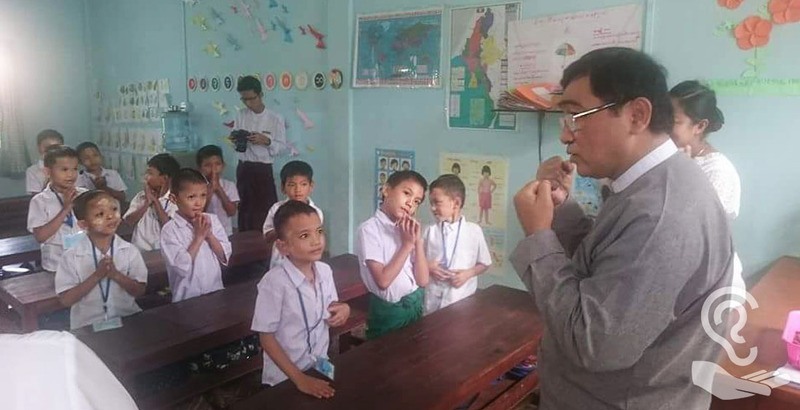 The Minister of Social Welfare, Relief and Resettlement, Dr Win Myat Aye, visits the Yangon Training School for Children with Hearing Disabilities. During the visit the Minister announced an important upgrading of educational resources for deaf children. This announcement closely followed the visit of the UK team to the school. Representatives of the UK team also travelled to Naypyidaw, the capital of Myanmar, to meet the Minister and discuss the UK / Myanmar partnership.